The X-Men's resident berserker joins the Marvel Gallery line of PVC dioramas! 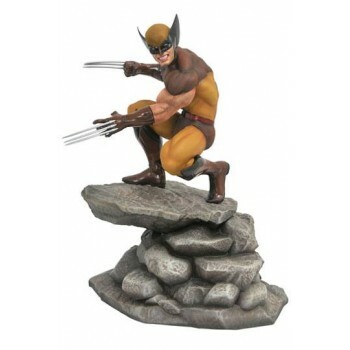 This 9-inch scale sculpture of Wolverine shows the hero in his classic brown costume, perched on a rock formation with claws extended, ready to tear into an opponent. Featuring detailed sculpting and collectible-quality paint applications, this sculpture comes packaged in a full-color window box.